I turned 60 the other day. My younger brother, sending me his wishes, pointed out that 60 divides by 1, 2, 3, 4, 5, 6, 10, 12, 15, 20, 30, and 60, making it a very useful number. Back in the 3rd millennium BC, the Sumerians created a base-60 numeral system, called of course Sexagesimal (of course! you knew that already!) (enough with the you-knew-that-already!). Today we still employ it, in modified form, to count seconds and minutes and months and years, and to calculate angles and geographical coordinates. In other words, space and time. To celebrate my birthday, I spent a day and a night in Chartres with my wife Alexis. We did the same thing four years ago: Walk here and there, watch the magnificent illuminations projected upon the Cathedral and many other buildings, eat and drink, sleep and dream, space and time. Yes, space and time are verbs, actions, processes with hearts and minds of their own. Every place in the world is a good place for you to space and time. 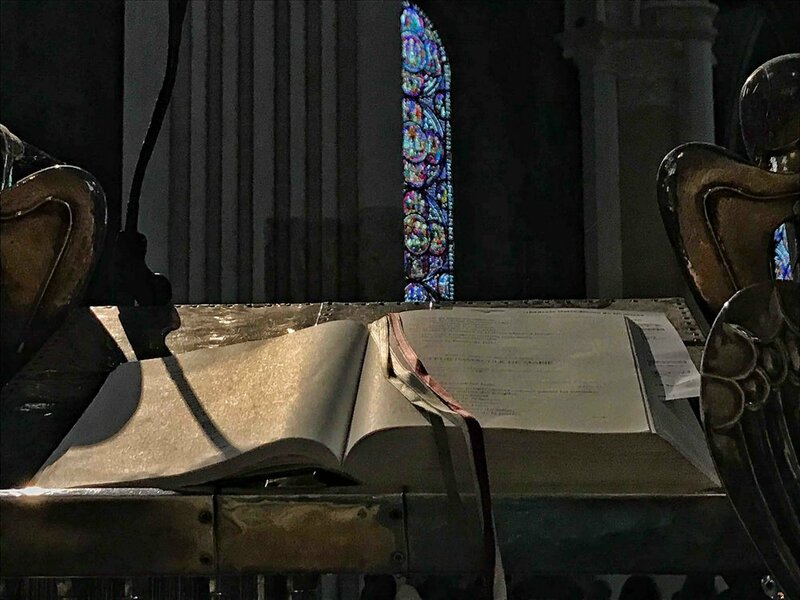 Chartres, however, is extra-good, in particular because of its Cathedral and what it represents, which we could call Eternity. 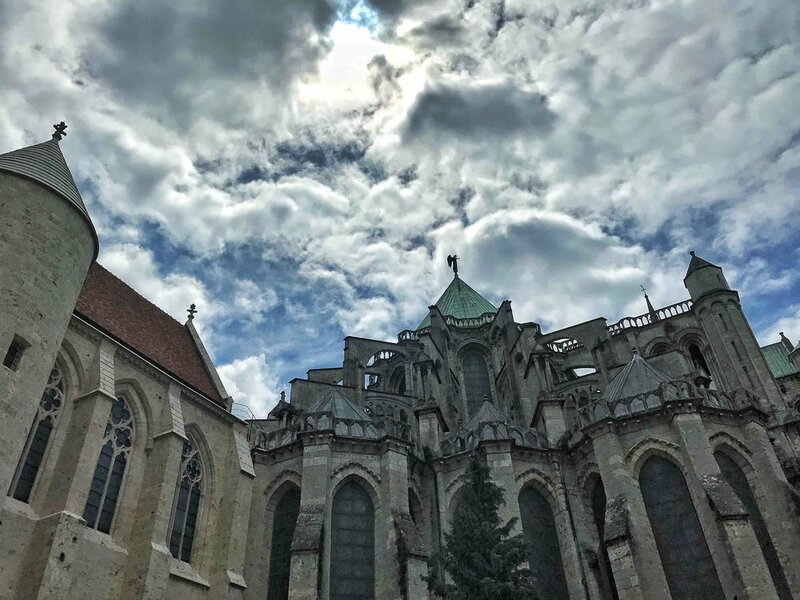 Eternity—I mean, the Cathedral in Chartres—occupies a privileged position in space: high and visible from afar. Its location and height multiply its importance, its power to impress and elevate. Today, you can see its spires from the train station. 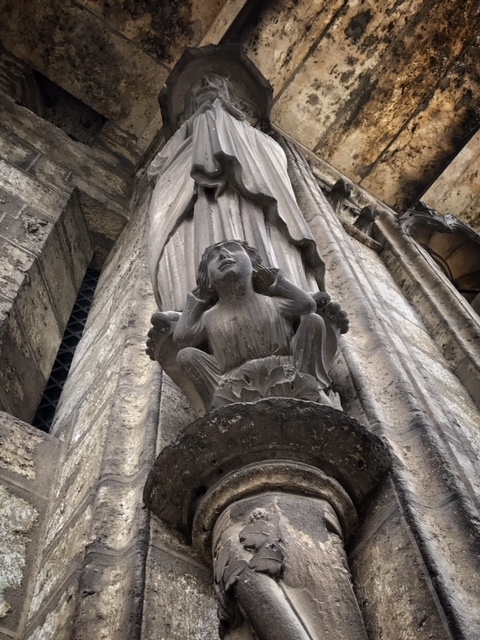 Eight hundred years ago, when people had the habit of looking into the distance, you could see the spires from the “outer space in your brain,” to coin an expression. Looking into the distance and looking at your smartphone are both manifestations of the space-and-time continuum, but, man, looking into the distance is kinda awesome. Plato, Socrates, and Onassis met in a taverna and said, “Hey, let’s confuse people for the next two thousand years. One of us will say, ‘All I know is that I don’t know,’ another will pretend to have heard it, and the third will spread the rumor.” Ever since, Wikipedia has been trying to sort out the so-called “Socratic Paradox,” with limited success since NO ONE CAN SORT OUT A PARADOX. But you can live it. Or, at least, you can walk it. 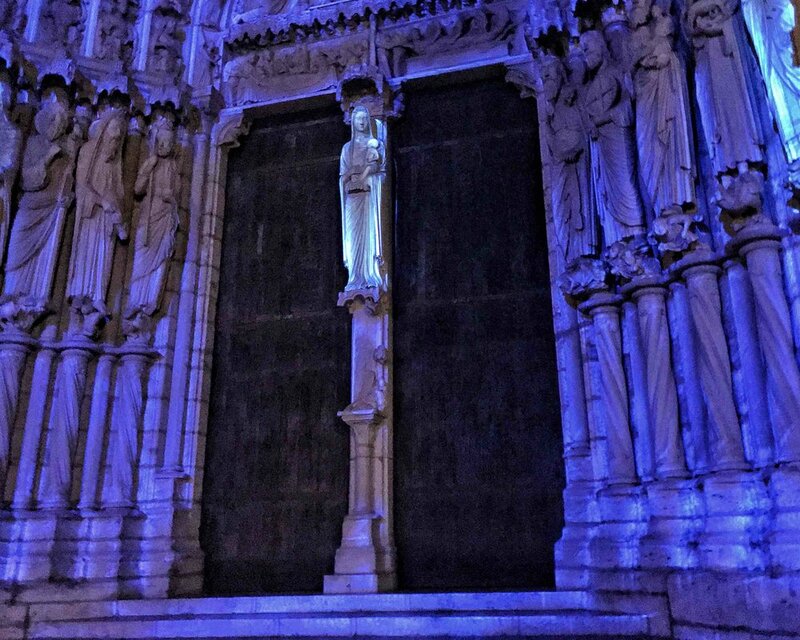 Visiting Chartres, you'll embody the I-don't-know principle. You won’t be able to understand how people built it without computers or power tools. 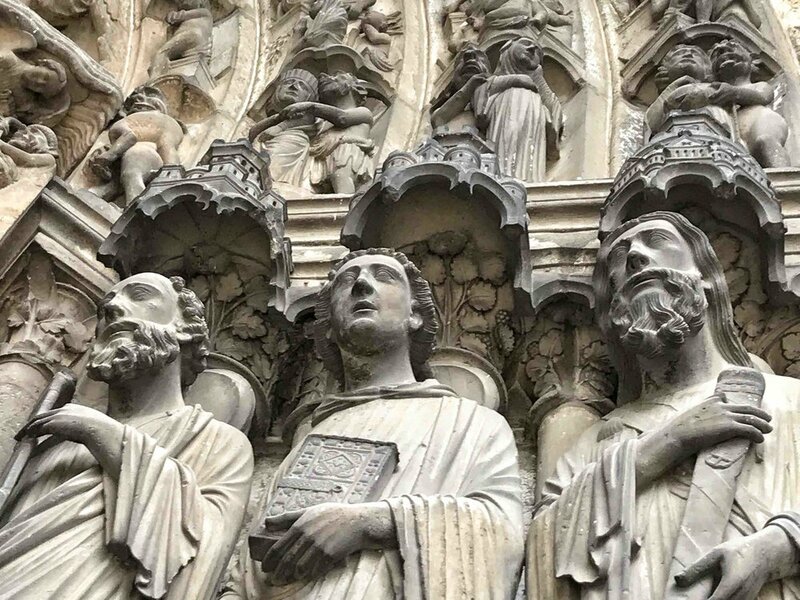 You’ll look at the iconography, the stained-glass windows and the statuary, and you won’t know what each face and each beard and each fold of each garment is trying to tell you. You’ll see hundreds of people from dozens of countries, walking here and there, taking photos, and—and singing, for Pete’s sake. And you won’t know if they’re “tourists” or “pilgrims.” Best of all, you won’t know if you yourself, in your flesh-and-bones here-and-nowness, are a tourist or a pilgrim. 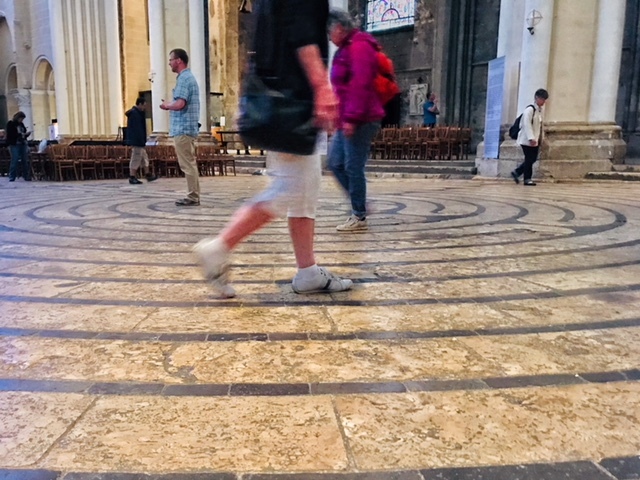 The Cathedral has a labyrinth of stone and love, right in the middle of the nave. No one knows exactly when it was built, or by whom, or what for. For our purposes, we'll say it was built in 1200, a nice Sexagesimal number. 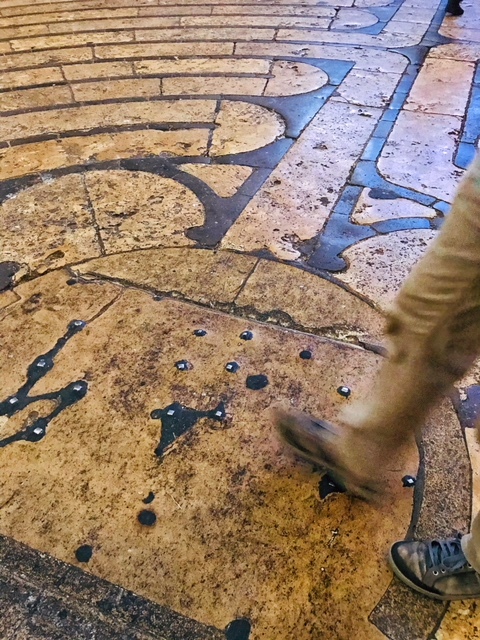 A walk from the entry point to the center, and back out again, lasts anywhere from seven minutes to seven centuries, depending on your speed and state of mind. 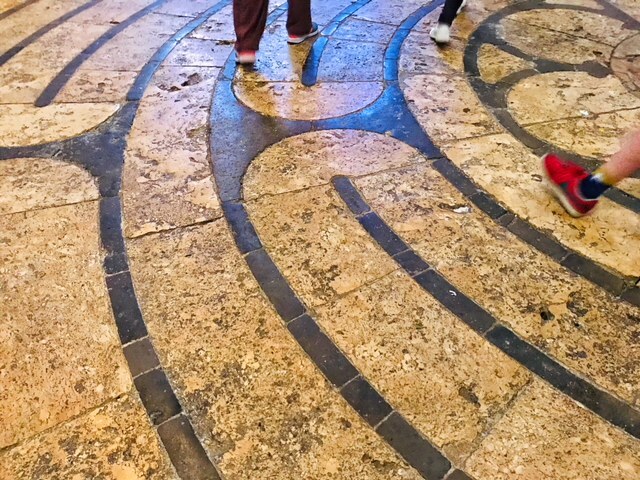 What will you find at the center of the labyrinth? This, too, depends on your state of mind. And it’s possible that the very walk might change what you're feeling, thinking, and doing. You won't know what you'll find until you find it. 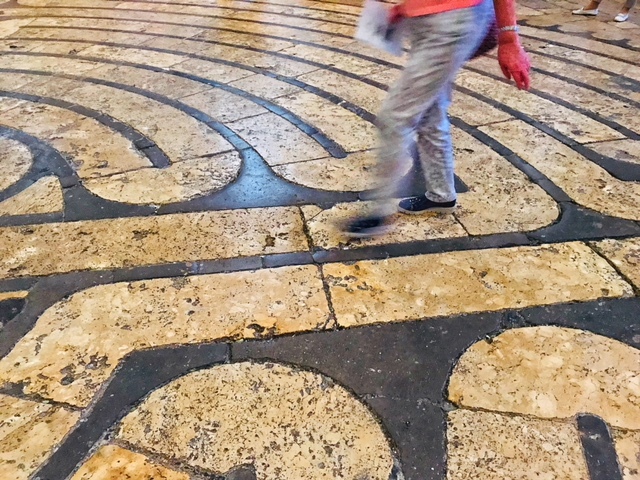 Do you need the labyrinth to Walk the Paradox? No. You can walk anywhere, within and without the Cathedral. You might not have to walk at all. 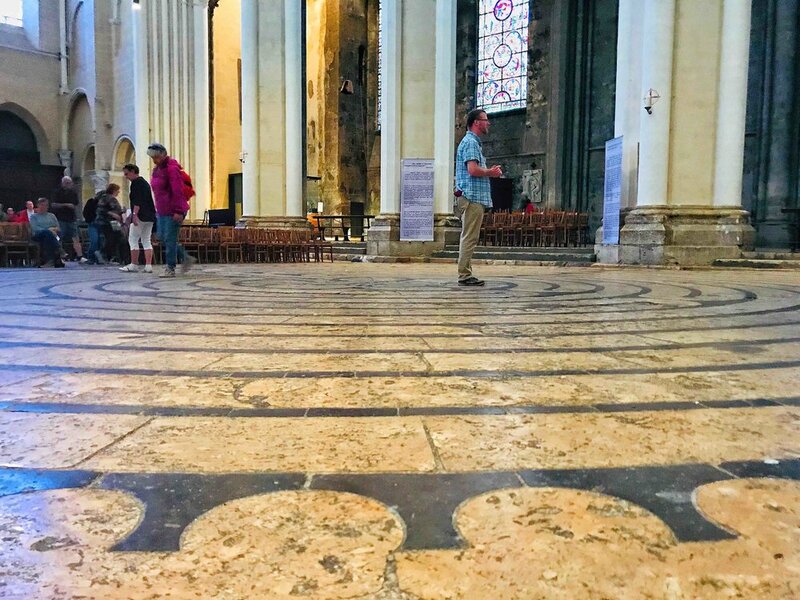 You can simply watch a video clip that a guy made, very indirectly inspired by Chartres and its labyrinthine paradoxes. And for those of you who aren't cathedralicals, to coin a word, here's the profane version of the space-and-time walk. It's the ABSOLUTE SAME THING! Thus shouted Zarathustra from his mountain top!